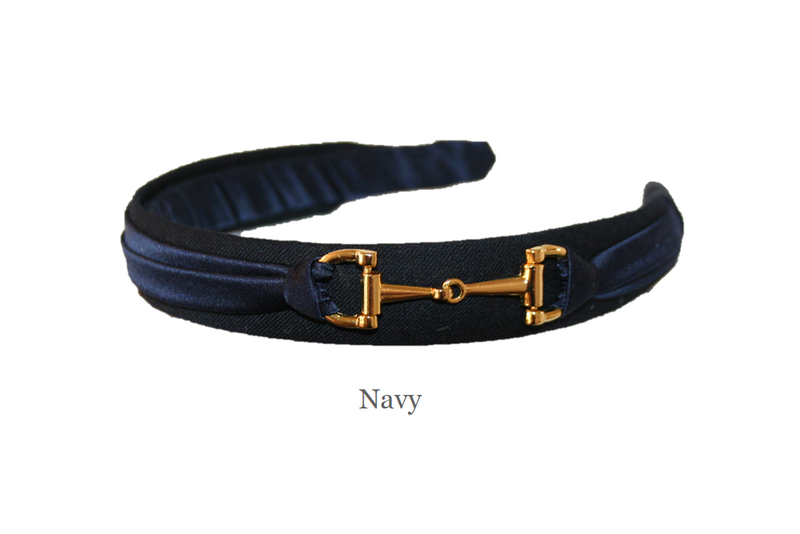 1” wool gabardine headband with a silk and horse bit buckle accent. There is a 1” French plastic headband underneath to ensure ultimate comfort. Luxurious wool gabardine, classic, timeless. Good for all hair types. 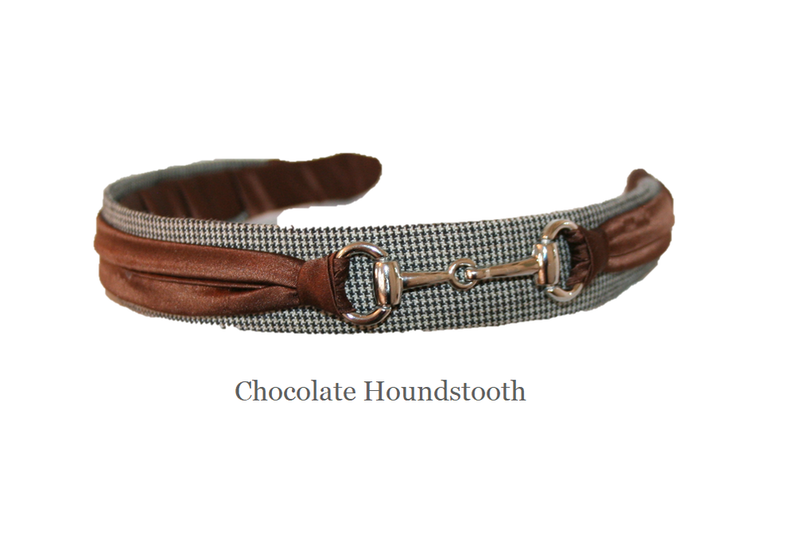 Shown here in black/red plaid/silver buckle, chocolate houndstooth/silver buckle, navy/gold buckle, steel blue/silver buckle.